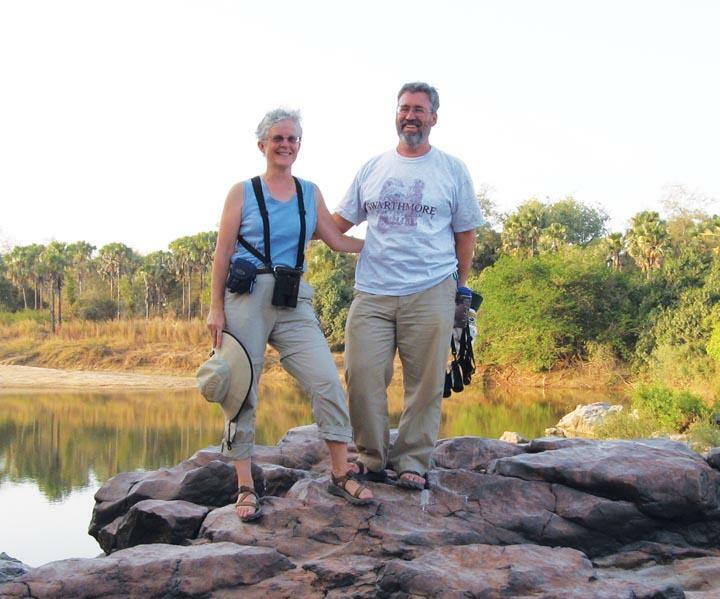 Richard Wilson ’73 and his wife, Emily Howe Wilson ’72, visiting Benin, West Africa. We want to know! As you travel the world for business or pleasure, snap a photo of yourself in your stylish Swarthmore duds, and it may land here in a future issue of the Bulletin. Send your 300 dpi digital photos to alumni@swarthmore.edu. Please note who is in the picture and where it was taken.